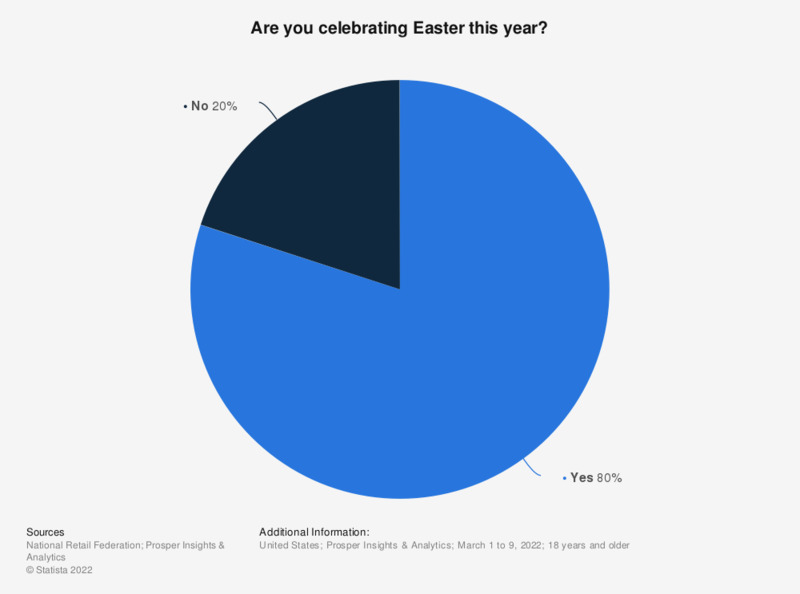 This statistic shows the results of a survey among people in the United States about celebrating Easter in 2017. This year, 81.3 percent of respondents in the United States said they are planning to celebrate Easter, while 18.7 percent stated they are not planning to go hunting for Easter eggs in 2017. The source does not provide information on the type of survey. Everything On "National holidays in the U.S." in One Document: Edited and Divided into Handy Chapters. Including Detailed References. Where will you purchase Easter gifts this year? What will you give as a gift for Easter? Do holiday shoppers plan to spend more or less than last year?